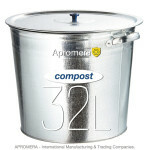 Metal Compost Bucket - 32 Liters. A stylish kitchen Compost Bucket, made from durable galvanised steel. Composting is good for gardening and for the planet. Practical and affordable way to store kitchen ascraps nd garden scraps. This galvanized steel Bucket is not only practical and affordable, it also lends a rustic touch to both farmhouse-style and modern kitchens. 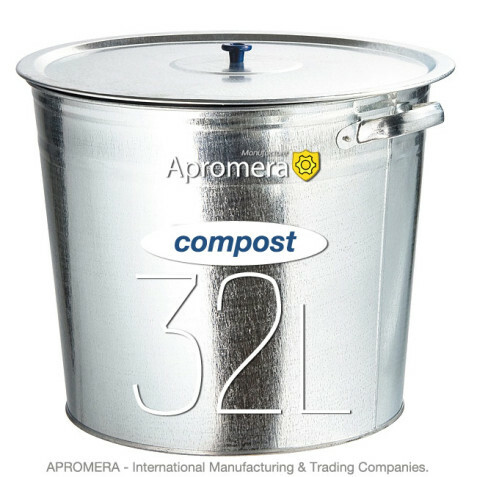 Compost Metal Bucket it's easy to keep clean! 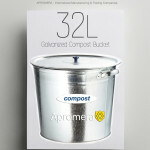 This Compost Metal Bucket provides an attractive solution to store your kitchen waste in before you compost! Convenient to carry, there are two metal handles.